Why is the Product From Apple so Popular? In this module, I learnt many useful skills to manage my time to study more efficient. This semester, I have got a lot of course going on. I have many courses from my specialization and that really take a lot of my energy. Meanwhile, I am so frustrate that how to manage so many school work since I am a person that is easily to be distracted. But I am so glad that I take this course that taught me so many techniques not only helping me on the online courses but also can apply to most of the course that I take. Here is a video from this module. In this video, Dr Lauren Hensley give variable advices on time and environment management that is very particle and I applied them immediately right after I finished watching this video. For example, Dr Hensley gives some advice on avoid distractions in the video. She talks about turn off the phone and put it to somewhere I cannot reach out for it; and also create myself a learning environment that i can fully focus and free from the distractions. I fond those advice very useful and they really improve my efficiency on learning after I utilized them. What’s more, Dr Hensley also talks about the danger of multitasks. She says that people should totally focus on only one task in a specific time period. People cannot be a family member, a spouse, and a student at the same time(Hensley, L.). I used to try to finish some discussion posts while I was spending time with my friends and that did not turns out very while and I did not enjoying time with my friends like that either. So I would make myself to focus on only one task in a time in order to reach the best outcome. Hensley, L. (2015). Video Lecture: Tips on Managing Time, Tasks and Study Environment for Online Learners. Retrieved from https://youtu.be/TDme7FwnU2Q. This week, I learnt about how to collaborate with group members while taking a online course. Actually, as an international students here in the Unite States, I always tent to be very shy during the collaborative works. But after I get through this module, and learnt some useful techniques of collaborating, I feel more confidence and comfortable on the group works. First of all, one of the most important ting of group work is communication.Effective communication provides information that is clearly under­ stood by group members, information for member reflections, and direction that leads to the group members’ ability to act(Lisk and Quartuccio, 131). And online group communication needs more skills since the group members are not physically there and the group meetings should be set up in a appropriate frequently rate. Communication is the base of everything in the collaboration. Group members should first communicate to reach an agreement on a goal and work for it together. 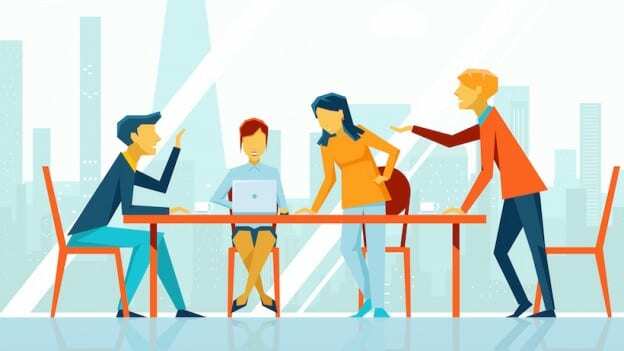 while working for that goal as a group, the group members should communicate with each other in order to check the state of the work and if the work meets the requirements. Furthermore, the other critical elements of collaboration is managing the conflict in the group. No matter how carefully you communicate with your group members and follows all the suggestions, the conflict is often inevitable(Lisk and Quartuccio, 133). When conflict appears, we should first figure out what is this conflict about and how to lead the group members to an agreement again. While solving the conflict, we should remember that, express our feelings with words, not actions. When we finally manage the conflict successfully, we should figure out what is the reason of the conflict and how to avoid it in the future. With those useful advices, I hope I can do better in my future collaborative assignment, no matter is online for offline. Lisk P., & Quartuccio, K. (2010). Managing Group Assignments in the Online Learning Environment. In Brosche, Theresa A. M. (Ed. ), Successful Online Learning: Managing the Online Learning Environment Efficiently and Effectively (pp. 127-142). Jones & Bartlett Learning. This week I learnt a lot of useful skills on online reading and note-taking. This semester a also have my second year writing class online and this course often required a lot of online readings as well. The reading assignment from this course are usually very long and I have to write reflection paper or response paper base on it. Since those readings are in electronic version and I am the kind of person who like to take notes on hard copy while I am reading, so I was always feeling frustrated when doing the assignment like this. but thus module offers tons of skills and techniques that really help me out in my situation. At the beginning, I should Identify the purpose of online reading(Watkin, R., p100). I clarifying what is the goal of reading is very important. If I am going to write a review paper on this paper or I have to generate a thesis statement base on this. To set a goal before start reading would help me read more efficiently than do not prepare anything. In addition, to preview the reading would also be a very useful trick for online reading. After setting the reading goal, I can use the goal to evaluate each part of the article and make some notes about which part I should pay more attention to and which part and can just go through quickly. Furthermore, I also learnt many skills on online note-taking in this module. In the “Technology”page this week, it recommend variable of online note-taking apps for me. As I said before, the readings from the online courses are usually pretty long and it is not very practical to print them all out. Thus, to take notes using electronic devise is a good way to keeping things organized. 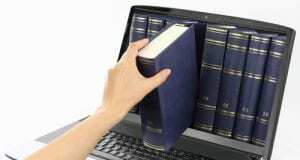 By doing so, I am able to keep all my materials of the online courses in my computer together. And I tried out several APPs recommend by this course and now I decide to stick on Evernote. I think it is a very useful tool to take notes in my laptop and I can easily keep my notes organized and they are easily to find. Watkins Ryan. (2004). Online Readings: Gaining the Most from What You Read. In G. M. Piskurich (Ed. ), Getting the most from online learning: A learner’s guide (pp. 93-110). San Francisco: John Wiley & Sons.